The former sleeping beauty of the French west coast wakes up with creative energy. Three years ago, Muriel and Arnaud Roudsovsky moved from Paris to Bordeaux. “It’s a magical combination of metropolitan vibe and rural life. You are in the heart of a city, but the sea, countryside, and mountains are just a stone’s throw away,” says Muriel, artistic director and owner of Ecolodge des Chartrons, a bed and breakfast that has earned its “eco” prefix by choosing solar energy, rainwater harvesting, and hemp insulation – and by serving a delicious breakfast of vegan croissants and organic fresh fruit. Muriel and Arnaud Roudsovsky own bed and breakfast Ecolodge des Chartrons in the heart of Bordeaux’s bobo district. Muriel runs the bed and breakfast with her husband, IT entrepreneur and former F-Secure collaborator Arnaud Roudsovsky. 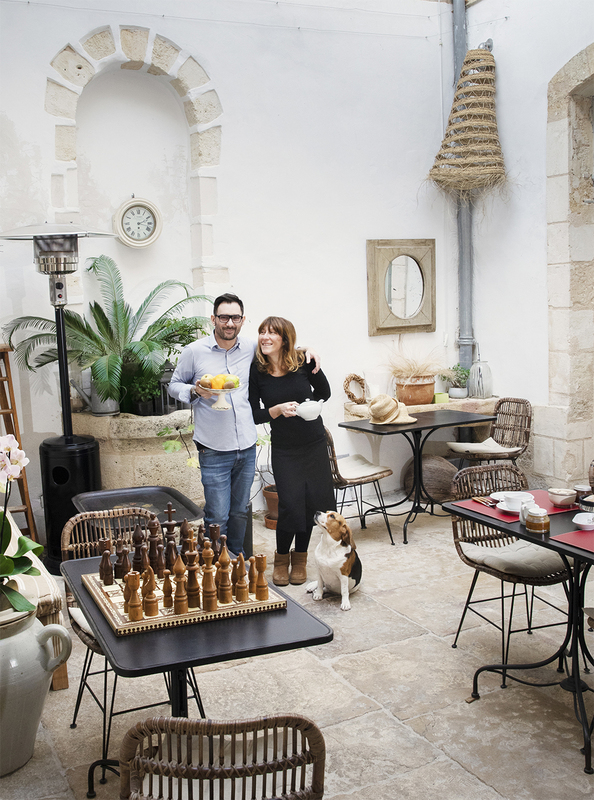 The forty-something couple is what the new Bordeaux is all about: inspired small-scale businesses that create urban culture through ecological and artisanal thinking. This is the Bordeaux spirit that is pulling in Parisians, start-up entrepreneurs, and some of the best talent in French cuisine. Bordeaux is an old port city split in two by the caramel-coloured River Garonne that once provided a route to the Atlantic and beyond. Most of Bordeaux is built on the left bank, including the newly booming bobo quarters and the UNESCO-listed city centre. 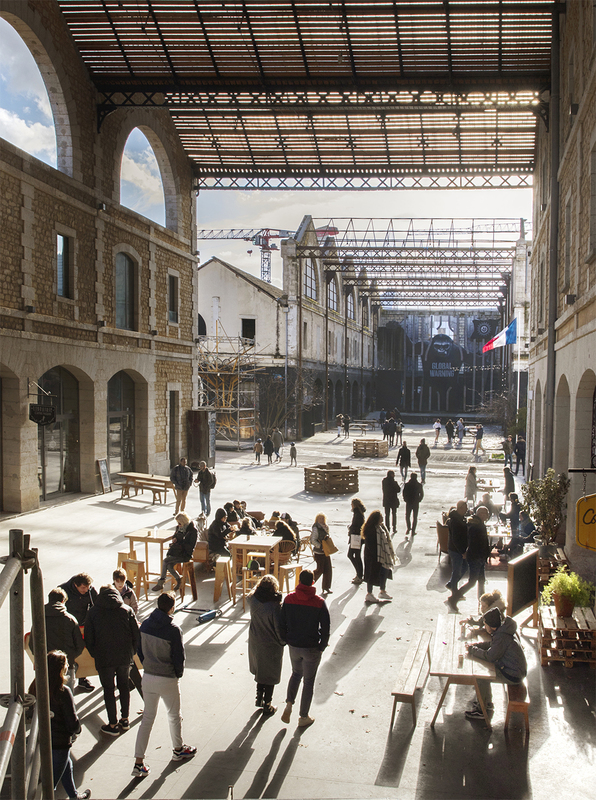 But on the right bank, there is something totally fresh: the Darwin ecosystem, the most innovative and bizarre neighbourhood in all of France. A decade ago, this was an abandoned military base, but now it hosts an organic restaurant, a bike co-op, and a bee garden. “Urgence climatic!” – visitors are welcomed to the Darwin ecosystem in knee-high block letters calling for climate action. A decade ago this was an abandoned military base, but now the remaining brick and corrugated iron barracks host the biggest organic restaurant in France, an indoor skate park, a gallery, the headquarters of eco-oriented start-ups, a bike co-operative, a bee garden, and a school. At lunch time, MAGASIN GÉNÉRAL is packed regardless of its ample space. Long tables are crowded with Darwinians digging into their savoury kale crepes. 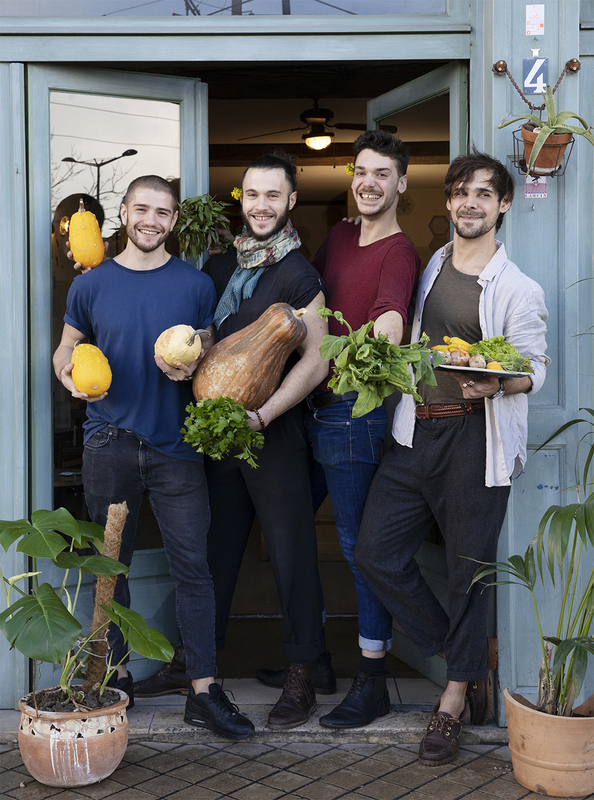 Darwin ecosystem, a right bank neighbourhood, turns climate action into new businesses and open-for-all events – and invites guests to explore. Finnair flies to Bordeaux two times a week. A vegan kale crêpe at Magasin Général. Designer Mathieu Courtois volunteers at the bike repair shop l’Étincelle. “You can also bring your own picnic here. You don’t need to buy anything,” says Darwin founder Philippe Barre, who, as the story goes, invested his advertising fortune into these old barracks to show that you can run a business without roasting the planet. Barre is wearing a Saint James fisherman knit, dark glasses, and a year-round tan you only get from decades of surfing. Five per cent of the cost of the café allongé he is sipping goes to non-profit organisations operating in Bordeaux. It is estimated that businesses in Darwin produce five times less carbon emissions than average, which surpasses the COP21 (Paris Agreement) goal. This is achieved mainly through energy conservation, recycling, and low-carbon transportation. In France, cocktails are seldom ordered before six in the evening, but when Estelle Sauvage is behind the bar, exceptions can be made. She mixes ice cubes, juniper berries, a rosemary sprig, and a splash of tonic water in a high glass and slides the drink over. It tastes like the freshest gin and tonic – except without the gin. Sauvage is the creator of ARCHIBALD, a distillery-made premium tonic water headquartered in Darwin. “Originally, we created the tonic to accompany our liqueurs, but it’s so good that it stands very well on its own. The bitterness is very smooth, the bubbles small and elegant, and there’s only a hint of sugar,” Sauvage explains. She and her business partner Olivier Fichot chose to replace the traditional tonic ingredient, imported quinine, with French-grown gentian root, which has a more sophisticated taste. The plant-based ingredients are distilled to bring out all the aromas. Archibald, a distillery-made premium tonic water made with French-grown gentian root. Olivier Fichot and Estelle Sauvage are distilling the go-to tonic of Michelin chefs (no gin required). Archibald is not strictly an eco-brand, but it’s making many smart moves. Apart from using only organic French ingredients, Sauvage and Fichot manufacture their labels from sugar cane residue. They also convert cardboard waste into coasters and make their deliveries with hybrid cars. It is precisely this kind of gentle, pleasant change that Darwin is pushing forward. In front of Darwin, visitors can borrow a city bike and pedal back into the city centre across pedestrian-only Pont de Pierre bridge. Bordeaux ranks sixth in the Copenhagenize Index of bicycle-friendly cities. This ranking is source of pride for Michel Duchène, city planning advisor for the legendary mayor Alain Juppé. Duchène is seated in one of the finest new pastry shops in Bordeaux, PÂTISSERIE S, with a matcha choux pastry and his recently published book La grande metamorphose de Bordeaux in front of him. His cycling helmet sits neatly on a nearby chair – in Bordeaux, even a high-ranking city official in flawless suit-and-tie rides a bike. During the 25-year reign of Mayor Alain Juppé and his team, the city has undergone a massive transformation that has turned riverfronts into beautiful walkways, pushed cars out of the city centre to make way for trams, and transformed old port hangars into hubs of urban culture. These communal areas have become a popular venue for carnivals, outdoor flea markets, and neighbourhood picnics. “We wanted to recreate a city that makes its citizens happy. We stole good ideas from cities around the world and put them into action – all of them simultaneously. Had we gone step-by-step, it would have taken 30 years,” Duchène explains. The transition was not an easy one, but it’s bearing fruit. In recent years, Bordeaux has been voted as France’s favourite city. For all newcomers, there is a special ceremony. Simon Chollet, Félix Clerc, Lucas Maraton, and Thomas Nero dipped their feet in the Miroir d’eau in 2015. These 28-year-old friends, who met whilst working in a high-class cocktail bar in Paris, run possibly the most ambitious neo-bistro of the Chartrons district, SYMBIOSE. Thomas Nero, Lucas Maraton, Félix Clerc, and Simon Chollet are redefining bordelaise cuisine in their acclaimed neo-bistro Symbiose. Symbiose’s daily lunch and dinner menus are prepared exclusively from ingredients produced within a 50-kilometre radius of Bordeaux. 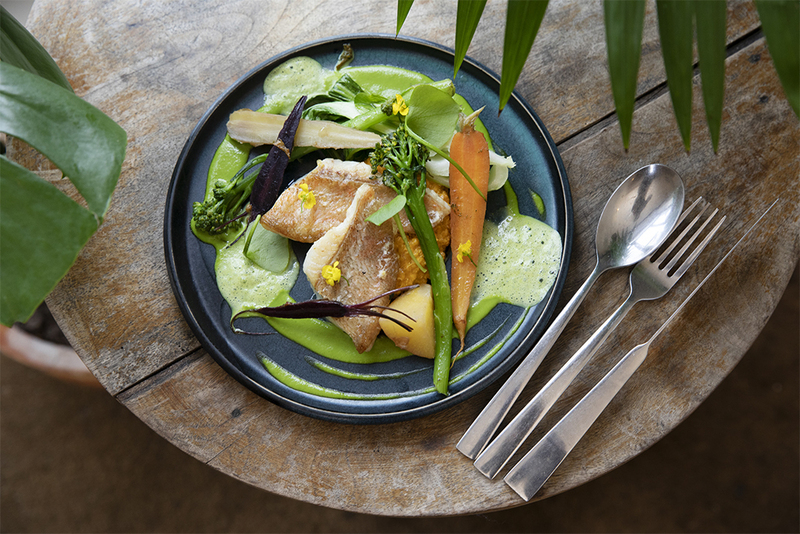 The chef, Félix Clerc, creates the daily lunch and dinner menus exclusively from ingredients produced within a 50-kilometre radius of Bordeaux – which means fresh fish, meat, vegetables, and herbs, some of which are grown in their own little garden near the city. At dinner time, the small stone-walled bistro is full: booking a few days in advance is highly recommended. “We wanted to challenge Félix a bit, so we came up with this concept,” Maraton says, with his signature grin. Maraton and Chollet are in charge of the cocktail bar of Symbiose, a speakeasy style bar hidden behind the grandfather clock at the back of the bistro. Here you can sample mouth-watering cocktails mixed from kitchen leftovers – which means glasses filled with vegetable infusions and fermented fruit. This spring, the band of friends is opening a second restaurant, Résine, serving gastro cuisine. “Everyone said that working with friends is a bad idea but for us it’s working really well. We bring out the best in each other and learn from each other. When you do something unexpected instead of something classic, you inspire people,” Chollet says. This kind of inspiring unexpectedness is what Bordeaux is doing exceedingly well right now.